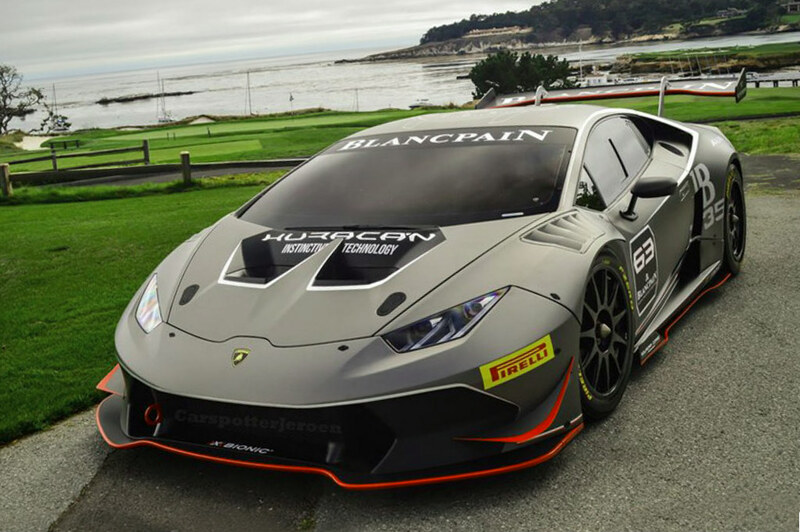 The new Huracán LP 610-4 racecar is expected to take part in competition in the racing since next year. Now the novelty has been just presented at the Pebble Beach this week. The novelty is the new Huracan LP 610-4 Super Trofeo, which has gotten the Huracan’s powertrains and all-wheel-drive. The powertrain is the 5.2-liter V10 engine producing the output of 601 horsepower as well. The Italian supercars manufacturer has already conducted most necessary test-drives. Certainly, almost all tests took place in Italy, at the Vallelunga racetrack. Moreover, the carmaker made decision to differ Gallardo and Huracan Super Trofeo in different raceclasses next season. Nevertheless, we will know that information when the new racecar is officially introduced and comes on a track. In addition, there will be also the Huracán GT3-spec racecar, which may replace the Gallardo GT3 in the future. Currently, the Gallardo GT3 competes with the Blancpain Endurance Series; it is the car of one of the Lamborghini’s partner.